Despite being blurry eyed from jet lag, you are likely eager to hit the streets of Paris to see all that there is but before you get started, I recommend your first stop be a quick visit to the Paris Visitors Center on Rue des Pyramides. The facility is open and clean, has free wifi and walls of brochures and pamphlets on everything from what to see to where to eat to where to shop. The staff is very friendly and available to help answer any questions. All of this available in a range of languages. In addition to free pick-up information, you can also purchase The Paris Pass, as well as, purchase tickets for certain activities and sites like Versailles for a small additional fee. They also offer ticket pick up if booking through their website – a great option if you do not have access to a printer while in Paris. ~Take the metro line 7 or 14 to Pyramides metro stop. ~When you exit, head towards the direction of the l’Opera. You’ll see it at the end of Avenue de l’Opera. Paris Opera House at the end of Avenue de l’Opera. It will actually be farther away than this photo indicates. ~Then turn left on Rue des Pyramides and you’ll see it just down from the corner. The Paris Visitors Center is like having your own concierge service! A wonderful thing if you stay in an apartment or in a hotel that doesn’t offer concierge service. Have you been to the Paris Visitors Center? 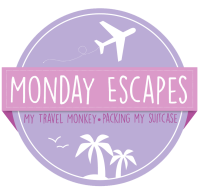 This post is part of #MondayEscapes hosted by My Travel Monkey and Packing My Suitcase. #MondayEscapes happy to have you here again! Thanks! I hope you make it to Paris someday with your husband. It is truly a romantic city. Sounds like a useful place. 🙂 We were in Paris for 6 days last August. It was our Silver Wedding and I’d done quite a lot of research in advance. We had a wonderful time. Johanna Bradley recently posted…Jo’s Monday walk : more Yarmouth! Happy anniversary! Paris is a wonderful place to celebrate. Absolutely! If you make it back to Paris, check it out. It is a great resource.